ICS Events hasn't added a story. Join us on Saturday, February 23rd at the Fox Cabaret and get a little crazy for a good cause! The evening features stand up sets from comedians Yumi Nagashima and Steev Letts and a live musical set from Light Organ Records artist, Fake Shark. Proceeds from the evening will go towards WE Villages, via International Conference Services (ICS), to benefit their project in Kanambu, Ecuador to construct a clean water system. Not able to make the show, but still want to contribute? Click that donate button! 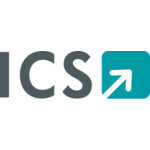 Over the next three years, ICS has committed to raising $50,000 that will be matched by the company for a total of $100,000 to be donated to the project. These funds will support the construction of a clean water system in the WE village of Kanambu, Ecuador, in addition to educating the community that will support the use and maintenance of the system. A local guiding committee has been formed within the community of Kanambu to manage the infrastructure development. In just three short years, stand-up comedian and actress Yumi Nagashima has made a large splash on the North American comedy scene with her sassy stage presence and unique point of view. Yumi is a mainstay on the Vancouver comedy scene but she has performed in seven different countries (USA, Australia, England, Germany, Sweden, Japan and Canada.) You may have also heard her on the CBC radio program “The Debaters” She has been featured on Andy Kindler's Alternative show as a part of Just For Laugh North West. She was also a finalist in the 2016 & 2017 Yuk Off Competition. Yumi is also an accomplished actress and has many acting credits to her name, including "The Man in the High Castle"(HBO). Steev is a mildly thuggish but extremely lovable gay oaf. He finds inspiration in the many gross rituals that unite us all, and aims to make you laugh at that which makes you cringe. Winner of the 2016 Vancouver’s Funniest Amateur Comic and the 2018 Vancouver Yuk Off, Steev has performed on showcases for Just For Laughs, JFL Northwest and the Winnipeg Comedy Festival. The members of Fake Shark have long been known for their singular style and feverish, wide-eyed abandon. As well as a streamlining of the band’s name (dropping the “Real Zombie” part of their previous moniker), there’s been a conscious effort to tighten up Fake Shark’s musical centre. Their new album "Walking Through a Fantasy" is out now! Poverty is one of the great issues of the modern world. A growing body of empirical research suggests that better education yields higher individual income and contributes towards the construction of social capital and long-term economic growth. In keeping with our focus on global education, ICS has decided to join the worldwide struggle against poverty through a project that encourages local education and empowerment. ICS Events hasn't posted any updates yet. ICS Events is managing the funds for this campaign.